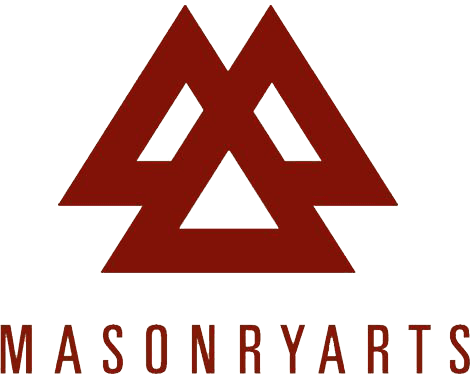 Masonry Arts, Inc is a single- source speciality contractor installing masonry and stone, Masonry Arts has worked on projects in Europe, the Caribbean, Russia, the Middle East and throughout the United States. Other services provided by us are forensic invesitgations, budget and systems analysis, and emergency stabliziation/dry in measures for damaged, unstable or leaking masonry and stone exteriors. We also specialize in historic restoration for both interior stone and exterior stone cladding. Roy V. Swindal, President of MasonryArts, Inc. received his Bachelor of Science in Industrial Management in 1974 from the University of Alabama, He first apprenticed as a bricklayer in high school and later worked with his father at John Swindal Masonry as a journeyman bricklayer and superintendant while continuing his college education. At the same time, he developed skills in estimating, project management and sales, leading to the opening of MasonryArts in 1979 as a merit shop operation. Mr. Swindal has worked closely with high profile architects and designers such as Robert A.M. Stern Architects, Pei Cobb Freed Partners, S.O.M. New York and HOK as well as General Contractors nationwide. In addition to over 40 years in masonry, Mr. Swindal's expertise in the selection and procurement of all types of stone throughout the world have earned him the reputation as a reliable partner in the field of stone contracting. Marcia Hastings, Assistant to the President, attended Cal Poly Pomona/Cal State Fullerton in California from 1979 until 1981, General Studies, while working as a Human Resources Assistant. Since 1986, she has been employed by MasonryArts, in consecutive positions including Administrative Assistant, Executive Assistant, and the Assistant to the President, Roy V. Swindal. Her proficiency in Microsoft Office and Microsoft Project lends itself to her involvement in various construction management operations. In addition, Ms. Hastings is responsible for executing all directives initiated by the president. Since 1988, she continues to be a member of the National Association of Women in Construction (NAWIC) having served alternately as Board Member, Corresponding Secretary, Recording Secretary, Vice President and President. Candice Lee, CFO/CPA, graduated with a BS in accounting in 1995 and a Masters Degree in Accounting in 1996 from the University of Alabama. She became a certified public accountant in 1998. She began her career as a senior accountant for a national healthcare company and then began working as a public accountant in 1998. During her years as a public accountant, Mrs. Lee specialized in accounting and taxation for the construction industry. After many years working as MasonryArts's external auditor, she has been Controller for the company since 2004. Ashley Whisenant, Senior Project Manager has been with MasonryArts since 1997. Prior to his employment with MasonryArts, Mr. Whisenant was in the United States Army and trained in Communications and Assault School. After the Army, he worked in construction and landscaping. His first position with MasonryArts was in stone sales and installation and later he held a position as Project Manager/Estimator. Mr. Whisenant was promoted to Senior Proect Manager in 2005, completing numerous large projects in both Alabama and Florida. He has been instrumental in involving MasonryArts with various charitable projects in the community.